Before you sign any paperwork concerning your move, take some time to learn about the way household-goods shipping rates are published, estimated and revised. Familiarize yourself with the details about the three moving terms below to get your relocation education started. Each moving company has its own published tariff. A tariff is a legal, binding document stating in plain language the policies of the moving company and the rates that the moving company charges for packing, loading, hauling and delivering your household goods. You can request to view the tariff when you speak with the moving company representative. Tariffs must by law include certain sections. Consumers must be able to easily understand the contents. A tariff will include a glossary of terms used in the document. It will also include easy-to-follow tables or formulas so you can calculate moving rates accurately. Most moving situations and conditions are included in the company’s tariff. However, there may be additional policies and fees related to special situations that are not included in the tariff. It’s important to note that, by law, moving companies can’t discount their rates. If the moving company charges you higher rates than those stated in the tariff, you have grounds to file a complaint. Ethical and established moving companies will always abide by their tariff rates. Like the tariff, the moving estimate is a document that the moving company should make available to you. 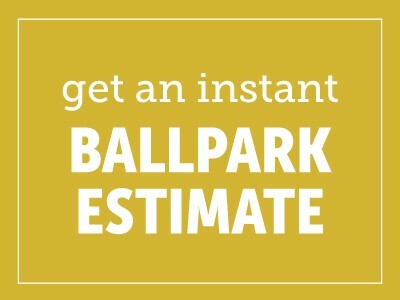 The estimate lists the expected charges that will apply to your specific move. All charges for the move, accessorial services, fuel surcharges and other expenses should be included. The methods of accepted payment should also be included in the estimate. There is one thing to remember about any type of written moving estimate: it’s not the same thing as a standard contract. If you do not completely describe the items and conditions involved in your move, you can be charged extra fees. For example, if you don’t tell movers about the antique grandfather clock or the baby grand piano they need to protect and load, expect to pay a higher amount than the estimated figure on the estimate document. The two types of estimates are binding and non-binding estimates. The difference between binding and non-binding moving estimates is subtle but clear. For one thing, your moving company may charge you to provide you with a binding estimate. Your moving company may not charge you to draw up a non-binding estimate. A binding estimate is a complete estimate for moving charges that is tabulated in advance of the move. In most cases, you won’t be charged more than the stated charges in a binding estimate. You’ll need to pay the moving company the estimated charged before your items are unloaded. If there are unforeseen charges, like extra stairs, a parking spot far from the delivery location or weather-related delays, you must pay those additional charges before your items are delivered. You and a representative from your moving company must sign the binding estimate to enforce the document. A binding estimate can be revised at any time before the move or at the time of the pickup of household goods. The moving company may want to inspect the contents of your home before offering you a binding estimate. In a non-binding estimate, the mover is making an educated guess about how much your move will cost. Normally, the moving company offers you a nonbinding estimate without surveying your household goods or location. It’s important that you are honest about the items you want to be moved. The moving company can refuse to load your household goods if you have grossly exaggerated the conditions of your move. In the case of a non-binding estimate, there can be many additional charges added to the moving bill. To get your goods, you may be permitted to pay a small percentage of any additional charges at delivery. You must pay the balance of the extra charges within 15 to 30 days. The actual time period is determined by your state. If you’re not able to pay the total estimate plus the additional percentage of extra charges — which can vary between 10 and 25% — on delivery, the moving company can legally refuse to deliver your items and place them in storage until you can pay. Whether you receive a binding or non-binding estimate, it pays to plan on paying about 10% more for your move than the estimate states. There can always be unforeseen issues. So cover your bases, and have extra resources on hand to avoid scrambling to find funds at the last minute. At Bekins Van Lines Inc, we always provide you with the information and documentation you need to make the best choices about your personal household move. Call us today to learn more about our professional, skilled moving services.